Ace Frehley is the least unbearable member of KISS, his solo forays always look a bit overshadowed by both his career both inside KISS, and their most notable single ‘New York Groove’ which, by the way, I have some special affection because it accompanied me several times back to México D.F. Having said this, I can only regret that the most recent work of Ace Frehley, to put it mildly, is not at the height of his career. It is an album that cannot decide between being a continuation of his solo career, or a nod to his time as a member of KISS. It’s an album that lacks resourcefulness, that proposes nothing, whose sound is obsolete, whose lyrics are trying to sound provocative, but we have heard them ad nauseum over the last 30 years. 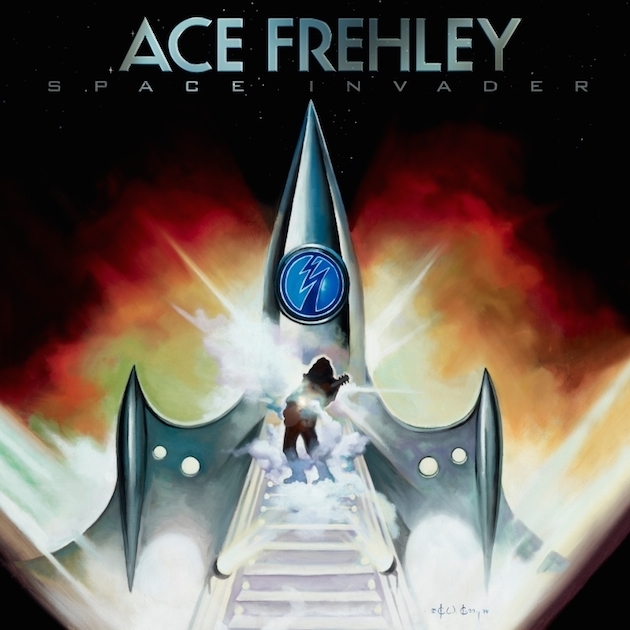 I do not know if Frehley tried to make a concept album, but it is very clear that even if he is the “Space Invader”, he is galaxies far from David Bowie‘s ‘Space Oddity’. For diehard fans of Ace, the album fulfills his signature style from the last years, the soft hard-rock reminiscent of the 70’s and the 80’s hair metal. Perhaps the best thing I can say about this album is that it might sound on oldies radio stations, without offending anyone. Posted in rantTagged Ace Frehley, Space invaderBookmark the permalink.